For the little artist in your life, coloring book apps for Apple TV let their creativity blossom. Let your kids create and see their colorful masterpieces on the big screen. For those whose children enjoy coloring. Coloring is always a relaxing activity and children love it for keeping busy. With Coloring Book – Children, kids get access to a plethora of different drawings that they can color in with a variety of bright and vivid colors. Additionally, the app lets users draw their own drawings as well to color, which is a fun bonus. Coloring Book – Children is simple and intuitive to use, so your child will be able to get right to the coloring fun. 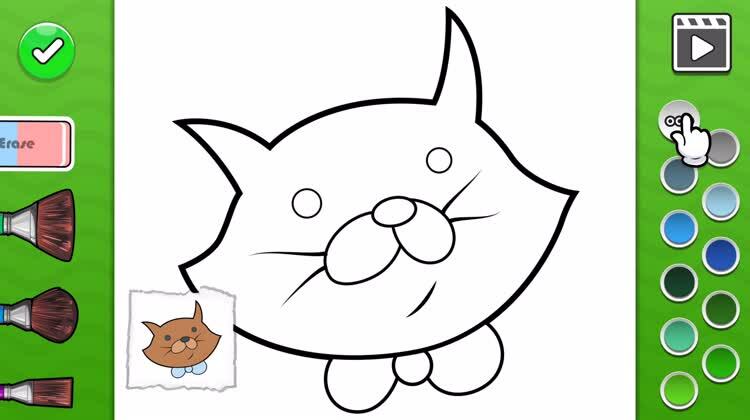 Coloring Book – Children is simple and easy to use. There are a lot of included drawings to color in, and you can draw your own too. It’s great for everyone and rather relaxing while being entertaining at the same time. For kids who love to sing and dance, the lively apps will have them bopping around the room. For those who want to encourage fun, physical activity with their children. It seems that nowadays everyone is becoming so wrapped up in technology that we may forget about being fit and active. 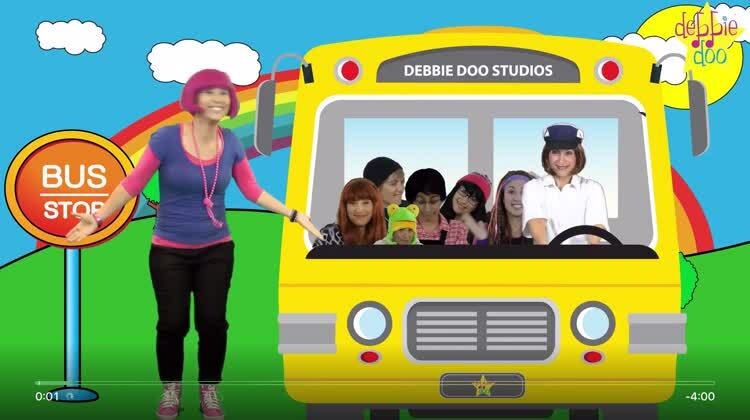 With Debbie Doo Kids TV, your kids will remain entertained but also learn the importance of physical activity in their lives. Have your kids embark on a fun musical journey that encourages singing and dancing — who said physical activity can’t be fun? For anyone who has kids that enjoy singing and dancing. 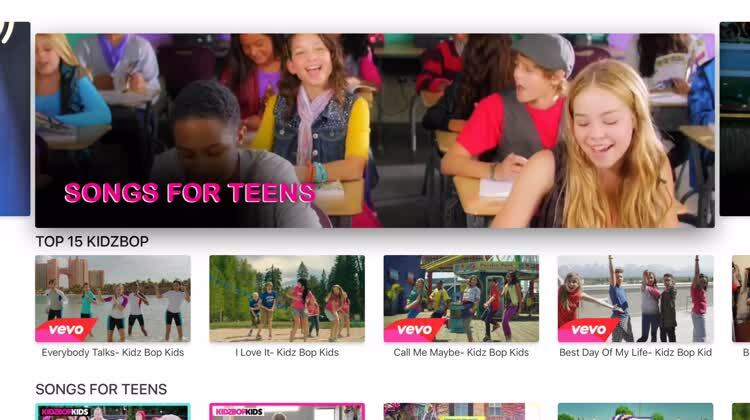 Kids love music, so they need to have some music that is tailored to them, and that’s what KIDZBOP does. 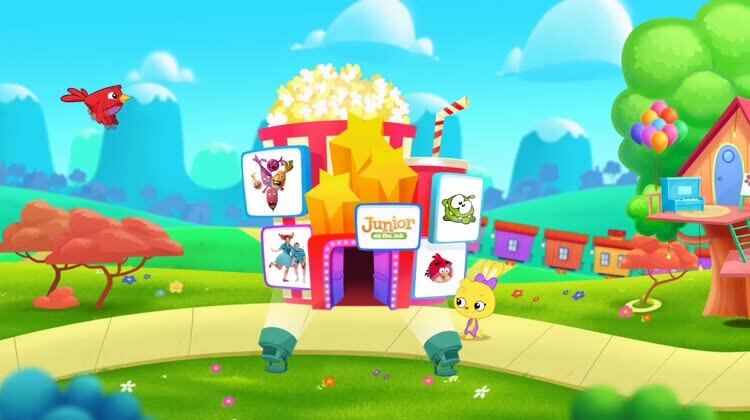 The KIDZBOP Apple TV app features all of the KIDZBOP content that your kids love. Get videos of kids singing top pop hits and enjoy the fun right along with them. The KIDZBOP app is simple to use and navigate. It has all of the KIDZBOP content that kids love. From watching shows to playing games, interactive apps let your kids enjoy Apple TV too. For those who want their preschoolers to have their favorite shows at hand. With Noggin – Preschool shows and educational videos for kids your little ones can enjoy their favorites all in one spot. From “Backyardigans” and “Blue’s Clues” to “Oswald” and “Pocoyo,” the app has over 15 shows to choose from with new videos added weekly. So, if your preschooler would love to see Moose and Zee guide them through a colorful app full of enjoyable and educational shows, check it out on Apple TV. Noggin – Preschool shows and educational videos for kids offers over 15 favorites with new videos added each week. So, for all those great shows in one location, pop up the app on Apple TV and enjoy a few with your kids. You do not mind subscribing to the service. You like the shows offered for your kids. You do not want to pay for a subscription. Your children do not like or watch the shows offered. For parents who don’t mind subscribing to another video service. For younger viewers, PlayKids is a great choice. Along with a great catalog of shows like “Sesame Street,” “Ella the Elephant,” and others, there are also a number of educational videos and games to select from as well. If you’re looking for a comprehensive service that can be accessed on the Apple TV along with other iOS devices, PlayKids should be high on your list. The catalog is full of popular children’s shows, and the educational games and foreign language learning content is a big plus. Don’t mind paying a subscription fee for more content. Don’t want to have their kids view advertisements. Looking for a free resource. For terrific, toddler tunes, nursery rhymes and lullabies are perfect for sing-a-longs. Teach your children through the magic of song and dance. For anyone who wants to educate their little ones in a fun way. Lottie Dottie Chicken is a great way to spend time with your children. The app is packed with familiar nursery rhymes and other educational songs that kids will find fun to sing along to and encourage them to learn while they do so. Adults can also join in on the fun to really get their kids motivated. 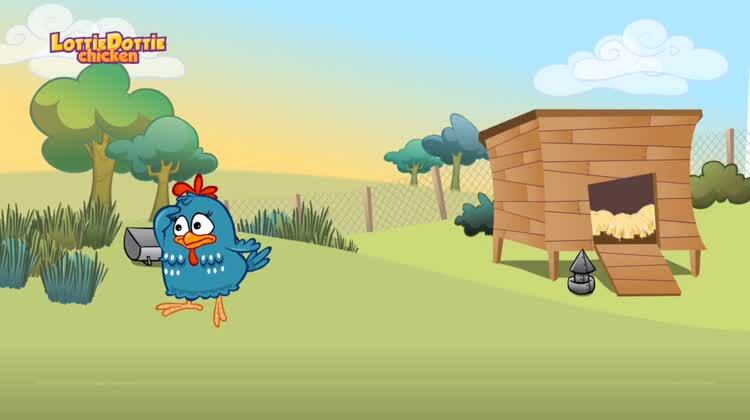 Lottie Dottie Chicken is full of cute visuals and has a great variety of nursery rhymes and songs for kids. It’s a fantastic way to motivate them to sing and learn. 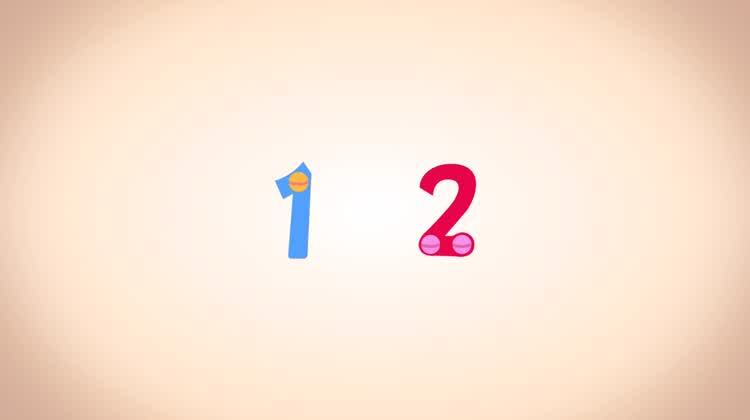 For learning letters, numbers, and words, these Apple TV apps are fun teaching tools. With tons of fun interactive animations, your little ones will love to learn. For those who like upbeat teaching tools for their children. With Endless Learning Academy your kids will enjoy the colorful and adorable monsters who help them learn. The app is both subject-based and progress-based to assist with early learning. Topics include colors and shapes, emotions and feelings, plants and animals, and much more. So, as they are learning their ABC’s and 123’s, they will be able to relate it all to real life. 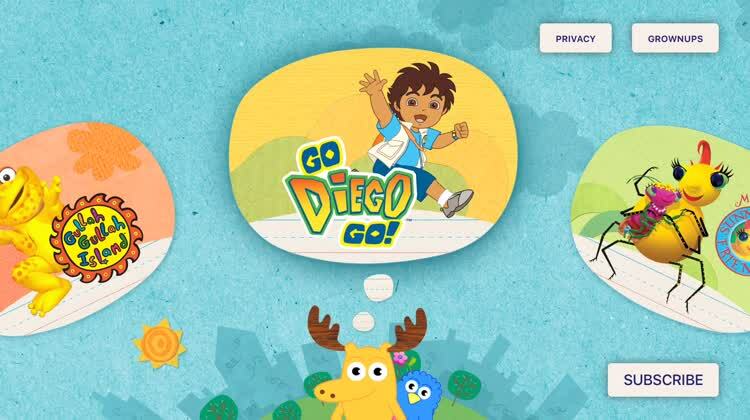 The interactive animations and cute characters will keep them both entertained and amused while they learn. Learning really can be fun for kids and the Endless Learning Academy for Apple TV is a terrific tool. With plenty of topics, thousands of activities, and a bright and cheery experience, your children will love it.